HT-NEXT, the HTNG’s Conference focusing on Authentic Innovation kicks-off on April 8th in New Orleans. Cutting-edge, visionary hoteliers will lead discussions over this three-day event. Technologies to drive business strategy while extending only the highest in guest services and amenities are the topics of focus. 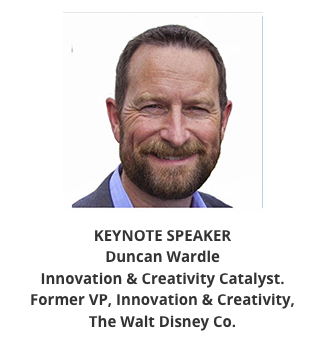 #1: The Keynote Presentation from Duncan Wardle, Former VP of Innovation and Creativity for The Walt Disney Co.
Slated for Tuesday April 9th at 9:00a.m., this session is sure to delight and bring some of the magic that Disney is known for. Hoteliers and hospitality supplier partners will learn how to strike a balance between high tech and high touch to achieve guest satisfaction and revenue potential. We are excited to see just where he thinks these worlds come together. This intersection is a driving force behind our efforts to deliver the future guests want today in-room technology. Further ensuring our hotel partners can still maintain a positive customer-to-staff connection. John Miller, CEO of CaliBurger/Cali Group presents this quick-hit Innovation Lab. 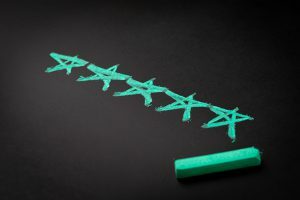 As this could be the next-generation in customer service, it immediately caught our attention because this could be the next-generation in customer service. According to the conference agenda, Miller will illustrate the here-and-now benefits of facial recognition as well as the potential of branded authentication services powered by biometrics. As a result, we’re wondering how could this technology further improve the in-room entertainment system of the future? Imagine a hotel TV recognizing your face and immediately start playing the last show you were watching. Thus, the opportunities could be endless. We speak geek at WCI, so this session immediately got our attention. This powerhouse session led by editor of Hospitality Technology, Dorothy Creamer includes Noni Gonzales, VP of Commercial Applications for IHG, Mathew King, VP of Business Technology & Integration – Digital Systems at Wyndham Hotels and Resorts, Frank Pitsikalis, Founder and CEO of ResortSuite and Saundarya Shah, CX Technology Solutions Consultant for Zendesk. The group will discuss the findings from the 2019 Lodging Technology Study. They will determine how, where, and what technologies will impact hospitality this year and in years to come. Similarly, it will be interesting to hear industry perceptions about in-room entertainment technologies. And we are excited to know how our future-proof pipeline aligns with hotelier expectations. We believe this session could be very eye-opening. Human are fickle. Some always look for the next best thing. Meanwhile, others will always select the same product or brand, regardless of price. We’ve seen this in in-room entertainment as more consumers subscribe to multiple entertainment. They subscribe to NetFlix, Hulu, Spotify, Amazon, and traditional media channels like HBO and Showtime. This session lead by Michal Escobar, Managing Editor for Hospitality Technology, challenges to determine how achieve a new level of loyalty requiring hyper-personalization and hyper-convenience. Panelists who will discuss how to truly gain customer loyalty include hoteliers Tammy Lucas, Vice President Marketing for Best Western Hotels & Resorts, Joshua Margolis, Vice President, Customer Journey for Caesars Entertainment, Jamie Russo, Vice President, Loyalty Programs and Customer Engagement for Choice Hotels International and Whitney Swales, VP, Guest Recognition, RLH Corporation. As Marriott’s largest GRE Partner, serving more than 1,800 properties, we were 100% intrigued with this session. Delivering a seamless ability to meet brand compliance standards is top priority for the WCI team. So, we are excited to see it is a topic of discussion at HT-NEXT. This session includes expert insights from Mike Dickersbach, Director Capital IT Services for HEI Hotels & Resorts, Nelson Garrido, SVP, IT for Brookfield Properties, Jason Shane, VP, Information Technology for Hersha Hospitality, John Spencer, Global Industry Leader – Hospitality, Accenture and Richard Tudgay, CTO for Highgate. This high caliber group will discuss how to balance the demands of ownership with pushing the technology ownership. 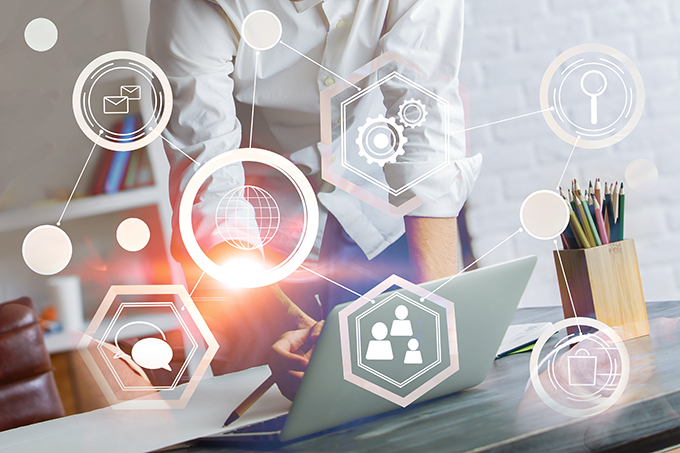 Hear different perspectives on making innovation a priority and getting buy-in across the enterprise while navigating ownership and franchise agreements. If you are interested to learn more about WCI, our in-room technologies services, or just want to get our thoughts on the HT-NEXT conference, contact us at marketing@wcitv.com.